After WW2, BMW began its full-fledged shift toward auto production. 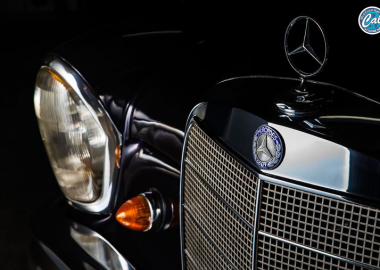 Sensing the changing times, the company ahead with development at a rapid pace, creating models that were called the “Neue Klasse” within the company. In 1961, the 4-door sedan the BMW1500 made its debut. The designer was the up-and-coming Giovanni Michelotti, who had received praise for the MBW700. On the other hand, Marcello Gandini, the chief designer at Bertone, took charge of the 02 Type, a 2-door coupe. BMW filled out its lineup with this midsize sedan and coupe and their variations, but it still needed to produce a model to succeed the high-end BMW501/502. 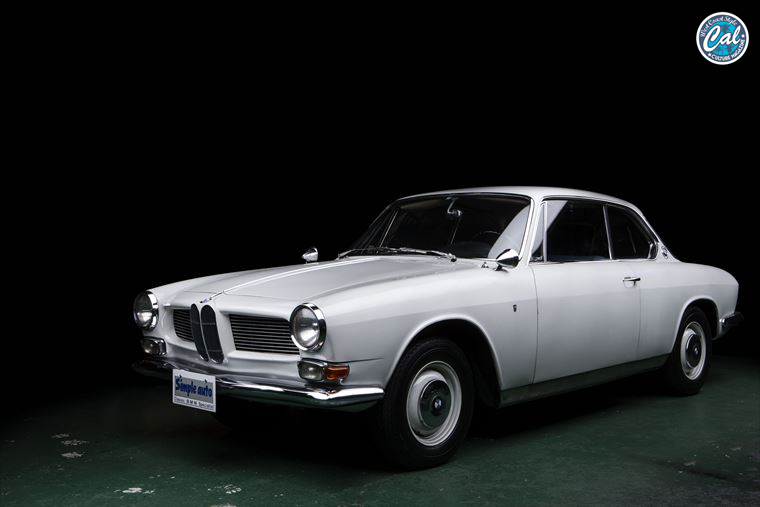 The luxury coupe born from this need was the 3200CS, was the 3200CS, which debuted in 1961 at the Frankfurt Motor Show. Production began in January 1962 and ended in September 1965. 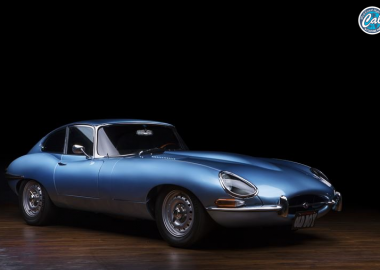 It is said 603 of these vehicles were made, of which around 40 are thought to still exist. Its mechanical characteristics include a chassis with a frame and a push-rod engine, a combination that, at BMW, ended with the 3200CS. BMW chief designer Wilhelm Hofmeister suggested bending the roof-end pillar forward, a design element known as the Hofmeister kink, and it is truly classy and beautiful. 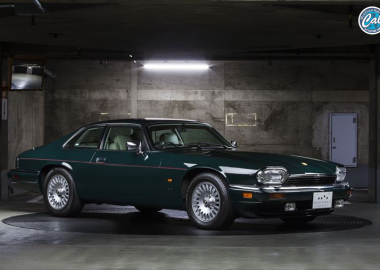 One of two officially imported cars to Japan (the other is held by Historic Car Collection in Sakai City ). Produced in March 1964, the importer at the time, Tokyo Balcom, received it that June. Because the odometer only goes up to five digits, as in most classic cars, it is difficult to say whether the reading is accurate, but the seller, Simple Auto, says the reading (a photo of the odometer shows it is in the 46,000 km range) may be accurate. The car was bought by Simple Auto from a certain collector, given a thorough maintenance, and put up for sale. Its whereabouts for a certain period are unknown. But it was later resold, passed through another owner, and ended up returning to this company. The price in Germany at the time was 29,850 Deutsche Marks, and in Japan it was apparently stored as carefully as one would expect for such a pricey car. 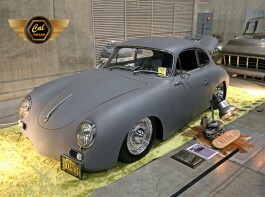 Research into its details uncovered no indications that the car was ever restored. It seems that even the paint and interior are original. 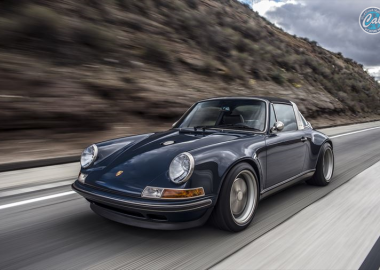 A car that has been through large-scale restoration may look appealingly new and shiny, and if the car itself was in certifiable condition to begin with, the finished product is even better. A vehicle of this condition that hasn’t undergone such restoration is extremely rare. For safety, the brake booster was overhauled in Germany. Air conditioning was added, too.